12-weeks can be a long time to step away from a paycheck, job, and other commitments. That’s why we’re always asking for feedback and determining if our program offerings are the best fit for our students. 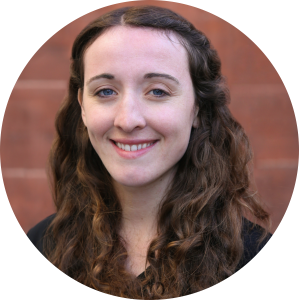 Meggie Mahnken, Senior Director of Education at Hackbright Academy, sat down with Course Report, a top online resource for intensive bootcamp programs, to explain how and why we decided to launch our Part-Time Software Engineering Program. We’ve had this part-time idea for a long time – a notion of creating something similar to the executive MBA where people continue with their job, and maybe their employer is even an advocate for them to attend the course and will pay for it. The part-time course is exactly the same, apart from the schedule. Classes are held Tuesdays and Thursdays from 5:30-9:30pm and Saturday 10am-6pm. There are a couple of mechanical ways that we’re going to tailor this course for people who have a lot of other things going on in their lives. First off, we’ve created the schedule for this course so that it honors three-day weekends when there is a public holiday. The course runs Tuesday, Thursday, and then most Saturdays. There are no classes on Saturdays that fall on a holiday weekend so that students can plan a longer break for themselves. We’re also adding remote advising appointments so students won’t have to be in person at the Hackbright campus to do their regular 30-minute advising meetings. We can schedule meetings during a student’s normal day – during lunch or on a Saturday afternoon. Overall we have an eye towards students’ other obligations throughout the course. We’ll be creating a deadline for assessments, and assigning homework in a way that doesn’t expect that you’re going to drop everything in your life to get a project finished in one night – that will be baked into the various deadlines. The part-time student is likely already in a professional job – maybe she works in publishing, maybe she’s a lawyer, or maybe she works at a tech company in a nontechnical role. This course is for someone who wants to take a different financial approach to skilling up. With the Part-Time Program, you can continue to earn your regular living while also contributing some of that towards your education. Like the Full-Time Program, we’re looking for applicants who like coding and have tried coding enough to know they like it. And we’re still looking for people who want to become software engineers, but they might be looking for a longer path into that role, or someone who has the wonderful opportunity to possibly shift roles within the same company. The admissions process is exactly the same as the Full-Time Program. It’s basically two interviews – one qualitative interview with our admissions team, and then there’s the technical interview. The technical interview is remote, over the phone, using a collaborative coding tool in a web browser where you work on a problem with me or another member of the education team. First, we try to put in the hard work during admissions – the technical interview assesses if a student has the fundamental core skills to fully take advantage of Hackbright. We want to make sure that students’ time, energy, and money isn’t wasted because they weren’t completely ready. A lot of the problems with “falling behind” can be mitigated if you really find and encourage all prospective students to be ready to hit the ground running on day one. This course is incredibly challenging, and every student comes in with less experience/readiness in certain areas than others. For each student, there will be tougher days and easier days. We’ve designed lectures and exercises that clearly outline the required content, but provide “further study” opportunities. There are also regular 30-minute one-on-one advising meetings which can include tutoring. When someone starts to fall behind, those meetings can shift to 100% tutoring so that students better understand a topic. You can’t repeat a segment at Hackbright, so we make sure to provide regular assessments so that it’s easy to identify what a student needs to work on versus what they understood. We’ll also keep an eye on work-life balance, which is especially important. We want to know students’ external stressors and keep a constant dialogue going to make sure the entire class is happy and learning. We already have to battle imposter syndrome – everyone does, whether you’re in an all-women’s bootcamp or not. When you work with women who are changing careers through a bootcamp, you have to provide a really positive and encouraging influence on regular basis. Plus we’ll always take feedback – there’s always something that we can improve. The Hackbright Academy team listens and is thoughtful about what people are asking for. Have a routine and a strategic plan to fall into throughout this six-month experience. Ask yourself, “What do I need when I get stressed out? How can I keep myself accountable?” Don’t get to the point where you’re losing out on your normal life (remember to eat)! Even more important advice – interview software engineers. When you are about to make a career change, even if you’re unsure what role you want, interviewing people already in those roles could help you with imposter syndrome, and debunk any myths. Find someone via LinkedIn, someone in your network, or a Hackbright alumna and ask, “Hour by hour, what did you spend your time on today?” Sometimes that can help with your confidence. Just by hearing what their job is like, it can inspire you and help propel you forward. Then when you feel stressed out or overwhelmed, you can think back to these insightful conversations.